Isn't it just the most lovely orchidy lavender? Not only that, but it's got the SinfulColors shimmer that I love, which makes it super shiny and glow all at the same time. 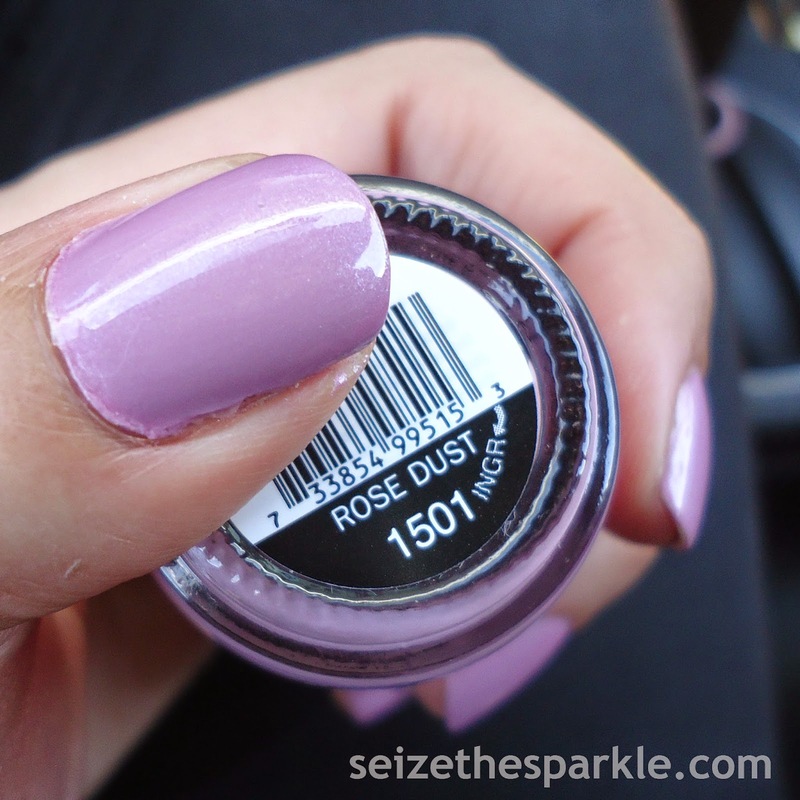 Now, I do realize that it's similar to Zoya Leslie... but while the purple might be the same, the shimmer is not. Leslie has a turquoise shimmer, while Rose Dust has a silver shimmer. Aaaaand that's how I justify owning both bottles! You know, I've mentioned it before, and it is really funny, but thanks to SinfulColors brushes and spot-on formula, they're really becoming my go-to brand. It's so easy to apply, and right now, I need that, because my cuticles are not helping anyone with the way they're cracking and breaking and so overly dry despite regular baths in cuticle butter. Warm weather needs to get here in a hurry! But, back to my nails... I needed 4 coats on this one because I had a little bit of patchiness after the 3rd coat on some of my nails. The more the merrier, right? What SinfulColors shades have you picked up recently?